Set on the shores of the sparkling Mediterranean, the Amalfi Coast is one of the most beautiful coastlines in Europe. 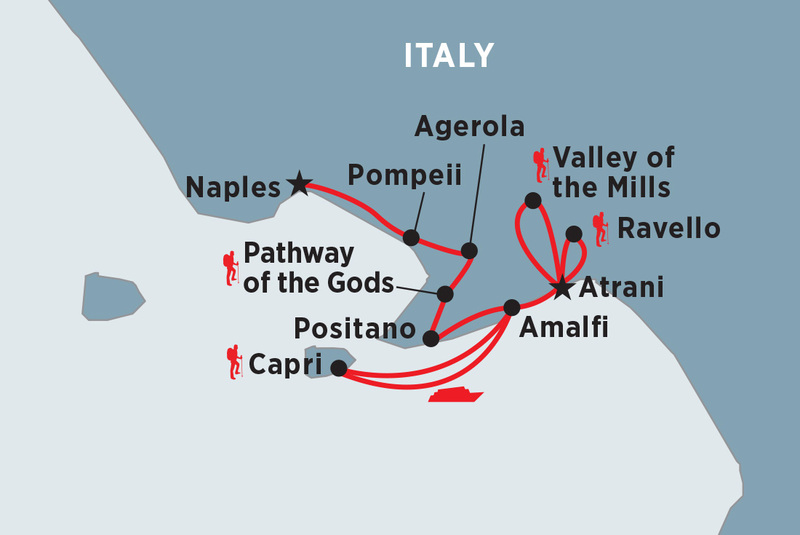 Lace up your boots and set your eyes to the spectacular and sparkling Mediterranean horizon for this scenic trip on the Amalfi Coast. Stroll through the lush Mulini and Ferriere valleys, say ‘buongiorno’ to local farmers along the ‘Pathway of the Gods’, and take a boat ride to the glamorous island of Capri.